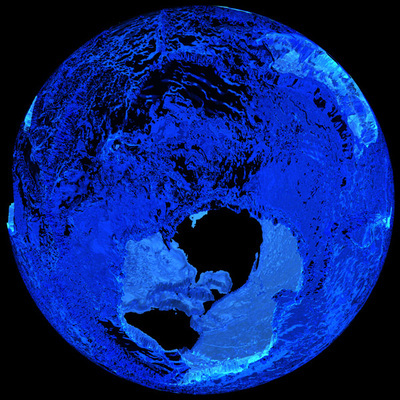 A conundrum: what is 4.5 billion years old, eternally dark and bitterly cold; always seen and never seen? 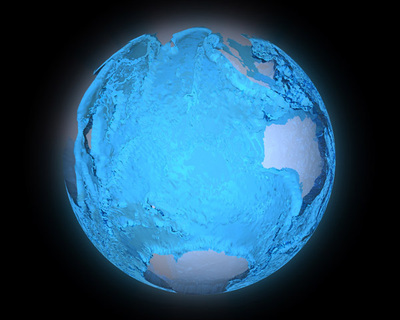 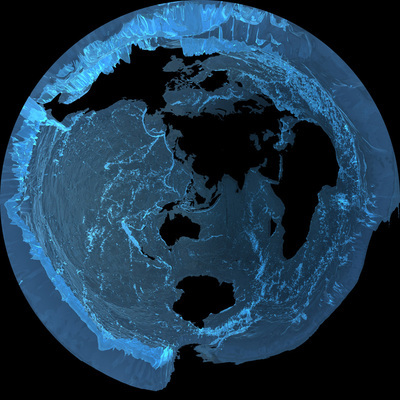 Ocean is a unique ultra-high resolution visualisation of the global ocean derived from the GEBCO (General Bathymetric Chart of the Oceans) dataset. 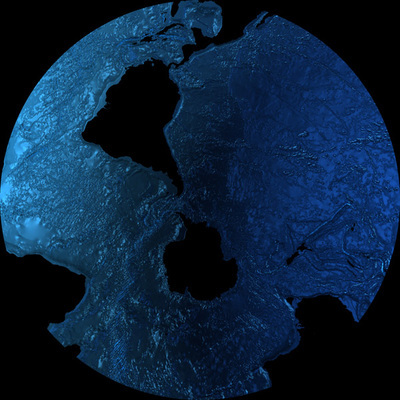 Conventionally, we think of geopolitical oceans and cartographic fantasies (the Atlantic, the Pacific, the Indian, the Southern oceans) – yet in reality, there is only one Ocean, mostly unknown to us, yet seen and exploited everyday. 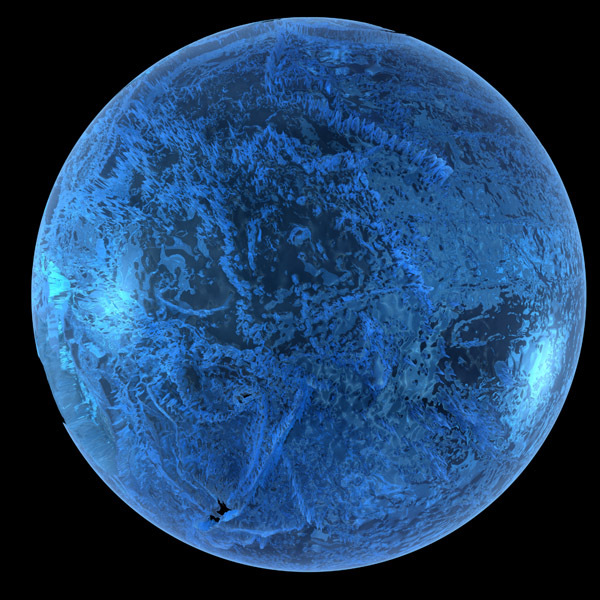 Ocean is a vision of this alien-ness, to help us see-again the familiar, in a new and insightful way. The model is derived from current GEBCO data subtracted from the WGS’84 geoid. 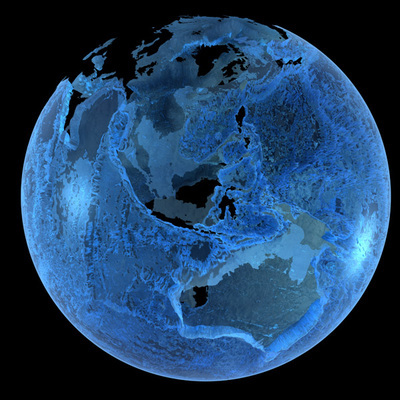 What remains from this subtraction is the ocean volume – the sea – the water – the world of sea-life and unimaginable depths. The physical geography of the Earth is intimated by the shape of water; the sea is a world in itself: our Terrestrial prejudice revealed. Depth is exaggerated for visualisation purposes.